Deanna Herrington has always loved to be active, dancing and running since she was a little girl. This fall, she’s tapping into one of those hobbies to raise money for charity. 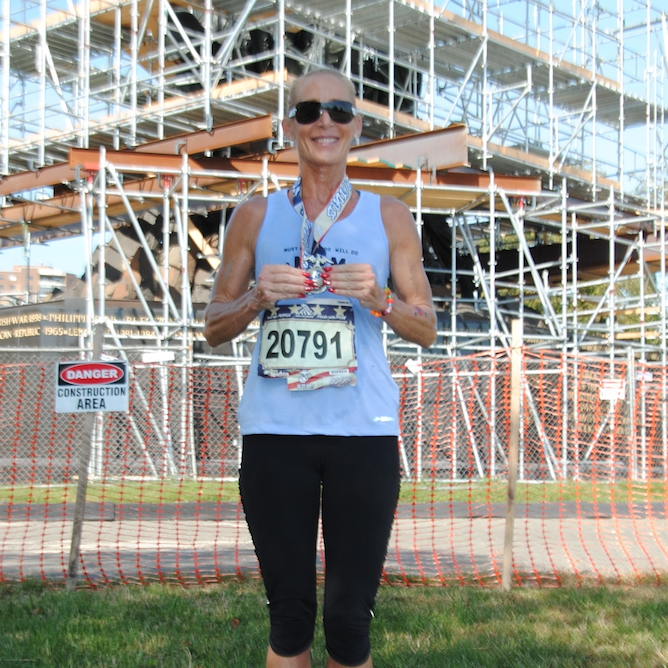 In November, the 47-year-old Pennington, N.J., resident will be running her first New York City marathon to support ‘Let Me Run,’ a nonprofit organization that encourages school-age boys to build healthy relationships and live active lifestyles while training them to compete in races. 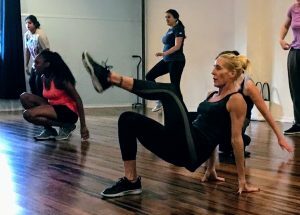 Read on to learn how Deanna embodies that mission herself as she balances her roles as a mother of four, an independent insurance broker and an avid fitness enthusiast. Philly Dance Fitness: When did you start dancing? Deanna Herrington: Growing up, my mother always sent me to activities, and one of them was modern dance. And then I tried tap dance. I’ve always been passionate about trying different genres of dance — I’ve even tried ballroom dancing! 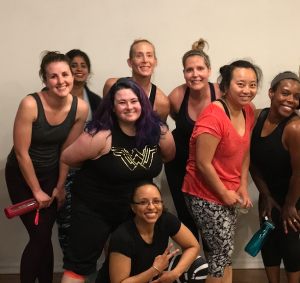 How did you end up becoming a ‘regular’ at Philly Dance Fitness? Since I enjoy going out and dancing so much, I wanted to find a fun outlet at a studio. I was looking for classes with club moves and music, but everything near me was either/or. There are only a few gymnastics studios and one dance studio by me, but they don’t offer the same caliber of classes as Philly Dance Fitness. Nothing really bridged the gap between boot camp and traditional dance until I took PDF’s Dance Party Boot Camp. That alone made the 45-minute drive from New Jersey worth it. When I tried BalletEXTREME, I enjoyed that, too. Plus, I like getting out of my neck of the woods — it’s a nice change of pace and faces. I get to have fun and learn new dance moves while also getting a great workout in. And when did you start running? I’ve been a runner since high school, and even ran in college competitively. 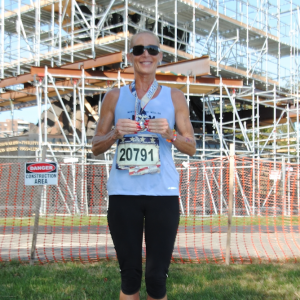 I started running marathons after my divorce in 2013. I always wanted to do a marathon, so I thought, ‘Okay, this is the time for me.’ The New York City Marathon has been on my bucket list for a few years now. It’ll be my fourth marathon, and it’s really exciting because it’s the biggest one yet. How did you end up partnering with Let Me Run? Deanna (last row, center) and fellow students at our Mashup Mixtape workshop in May. I actually got involved through my 10-year-old son, Vince. The organization sponsors 5k races at his school in the fall and spring. Once he signed up, the coordinators asked me for help coaching the students. They also mentioned they were looking for fundraising representatives to run in the New York City Marathon. I had experience fundraising for the Marine Corps Marathon, so I applied. I really appreciate how Let Me Run uses the power of running and lively group activities to equip boys with the tools to lead a balanced and fulfilling life — emotionally, physically, mentally, socially and spiritually. I saw how much the program built up my son’s self-confidence and friendships. He even wanted to run the final 5k race with me by his side! So, along with everything else, Let Me Run really helped us bond. Do you have any goals for the upcoming marathon? I’d like to raise $6,000 for the organization and also set a personal record from my Marine Corps Marathon. My ultimate goal is to promote this program as much as I can in the hope that Let Me Run can be in more schools. What do you like to do when you’re not running or dancing? I love to watch movies with my family, and when I go running, my kids — ages 16, 13, 10 and 8 — bike with me. We also love going on the boardwalk in the summer. We’re a pretty active family. To learn more about Deanna and Let Me Run, check out her fundraising page. Deanna jamming out at a Pop Divas workshop in November 2017.